If we're to believe director McG, the fourth installment of the Terminator franchise will be a gritty, dialogue-heavy, post-apocalyptic testament to Christian Bale. Calling Bale "the most credible and talented actor of his generation," McG explained to a screening room of press folk the procession of people he had to win over when he took the reins of Terminator: Salvation. James Cameron, director of the first two Terminator movies, wished him luck but "reserved the right to hate it." It was Christian Bale as the lead, though, that was harder to win over. After hating the first script, his advice to McG was to "let the movie do the talking." McG took that literally, giving Bale ample dialogue with fewer cuts, allowing his generation-defining talent to tell the story of John Connor becoming the saviour of humanity. Slated to run about two hours, and with the freedom to potentially be R-rated, McG's vision is of bringing quality back to the blockbuster. Using custom film stock left to degrade in the sun, excessive amounts of silver for an otherworldly feel and flawed Panavision Ultraspeed lenses, the intended aesthetic is certainly fitting for a war movie set in a post-Judgment Day Earth in which we finally see Skynet. True to its franchise, the special effects will push the boundaries, so much so that McG was visibly excited when speaking vaguely about the as-yet-unsuccessful effect that they're working on. Said effect may or may not include a cameo or at least some sort of involvement from Republican Governator Arnold Schwarzenegger. 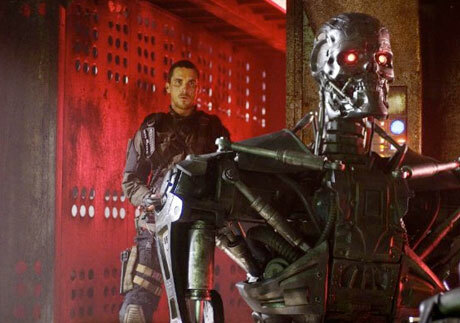 If McG can keep to the "honour the mythology, blend it with new effects, continue the story" idea that he set out with, Terminator: Salvation might not be the "half a movie" that McG considers Rise of the Machines to be.